I read this article and found it very interesting, thought it might be something for you. The article is called Win a ChickenCoopGuides Membership! 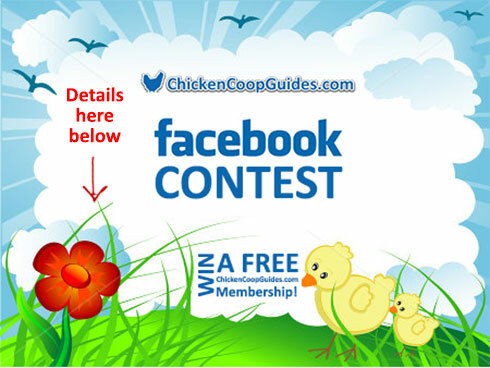 and is located at https://www.chickencoopguides.com/win-chickencoopguides-membership/. This contest is as silly as our Facebook page, but hey, you have the chance to win a FREE 1-year membership, so make sure you don’t miss this opportunity! We will pick the top 3 funniest captions posted on any of the images to win a 1-year ChickenCoopGuides membership! Don’t forget to “Like” the page first!